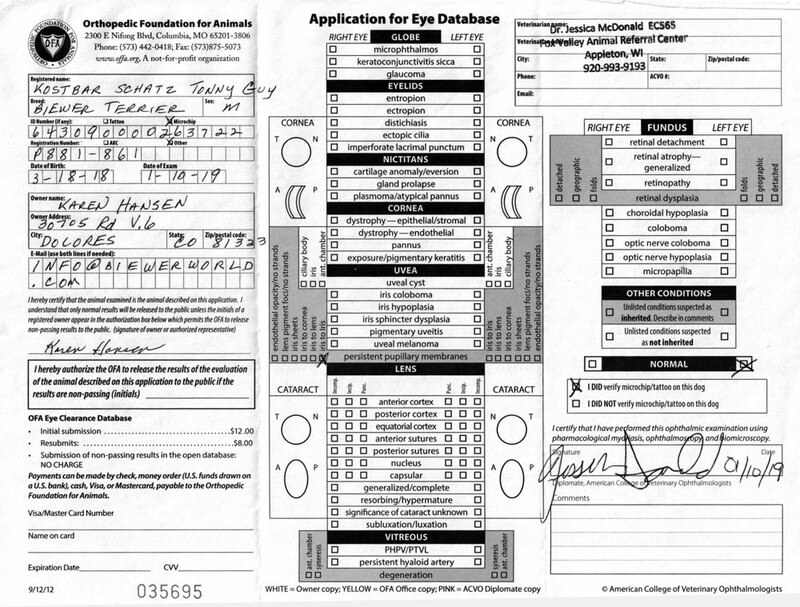 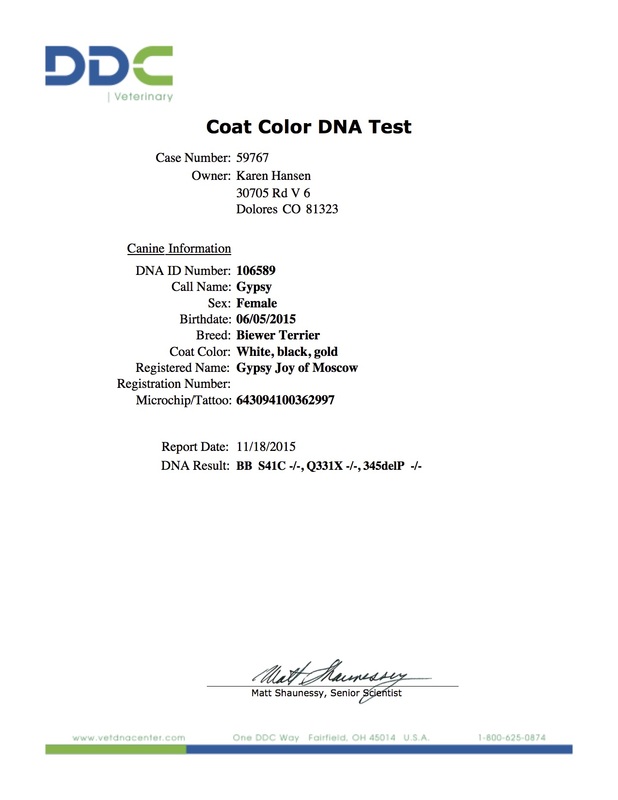 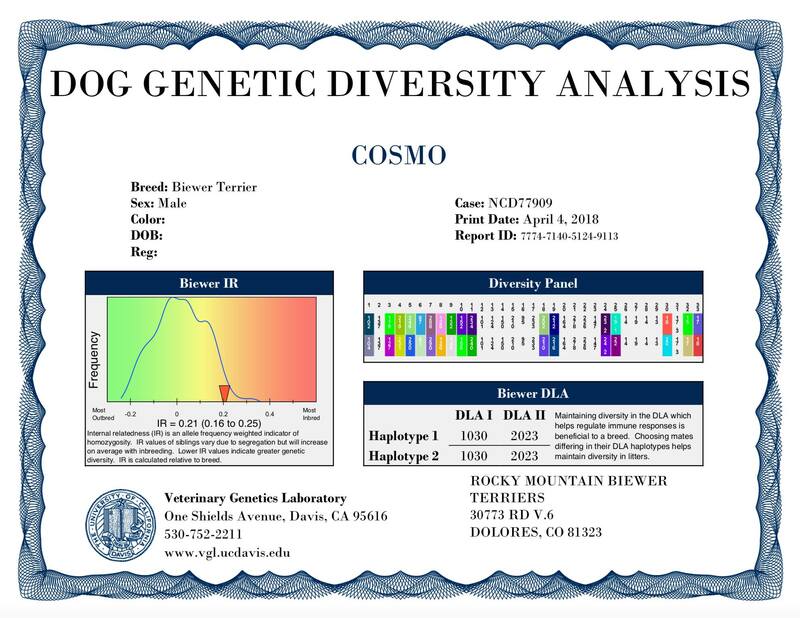 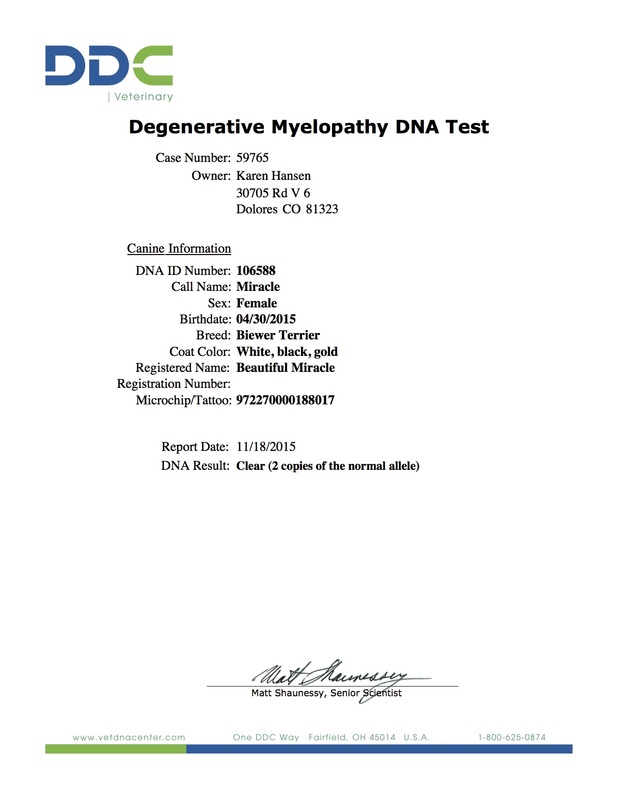 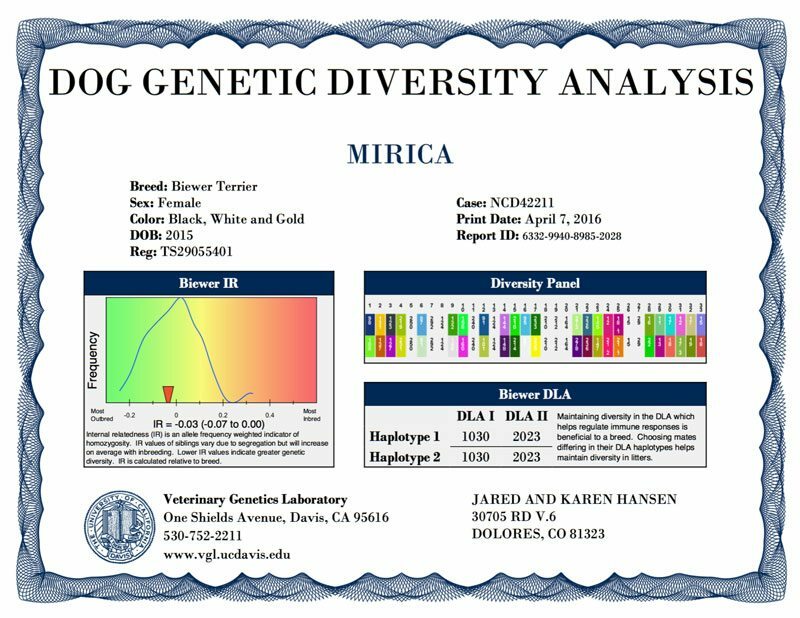 Thanks to DNA Health Testing we are able to test our dogs for known inherited diseases before they are bred. It gives us the information required to make informed decisions in our breeding program and reduce the risk of the diseases and unwanted traits. 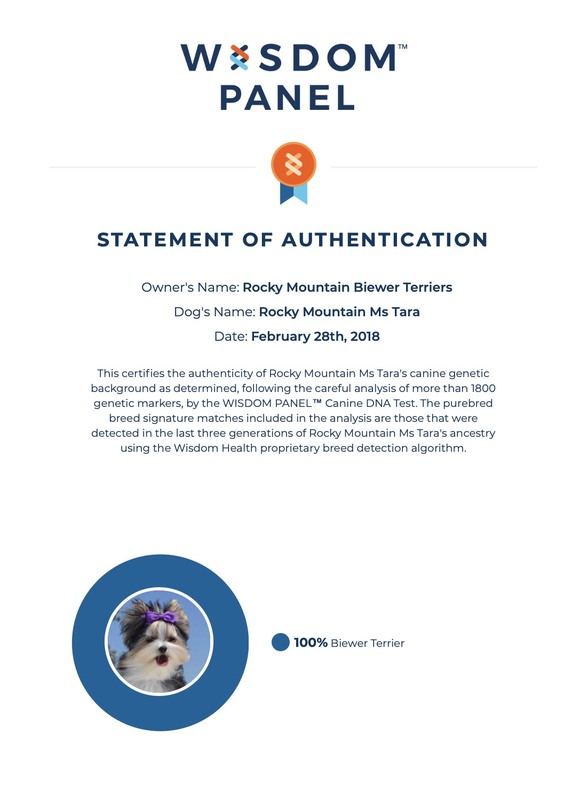 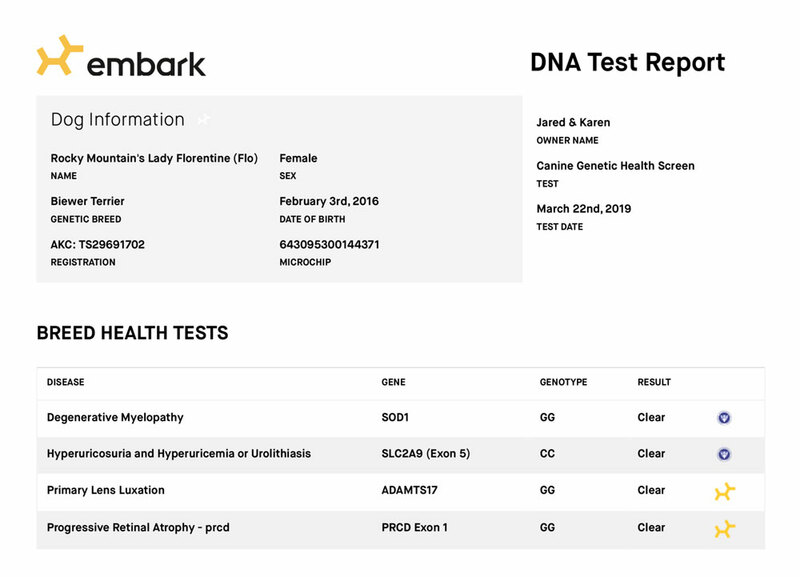 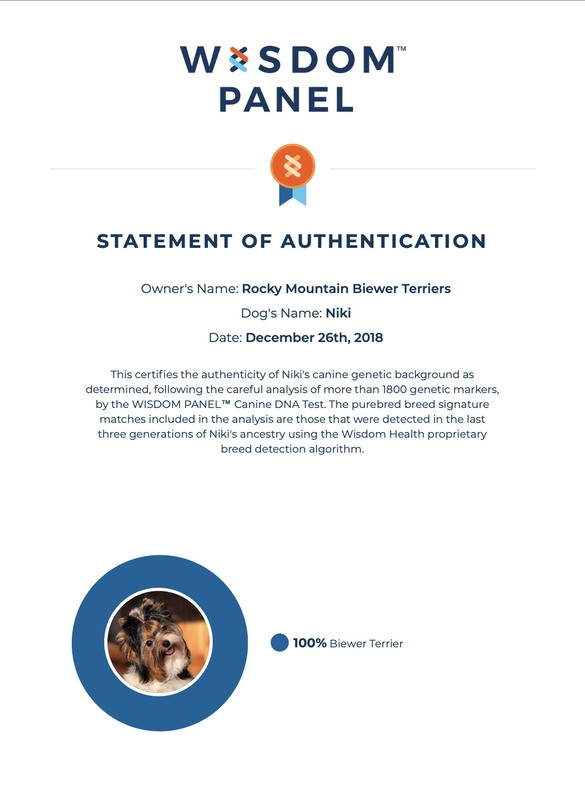 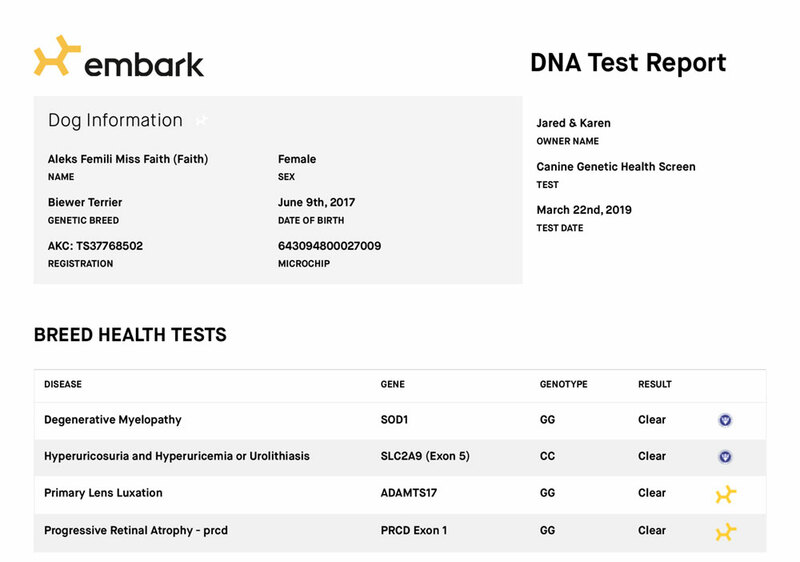 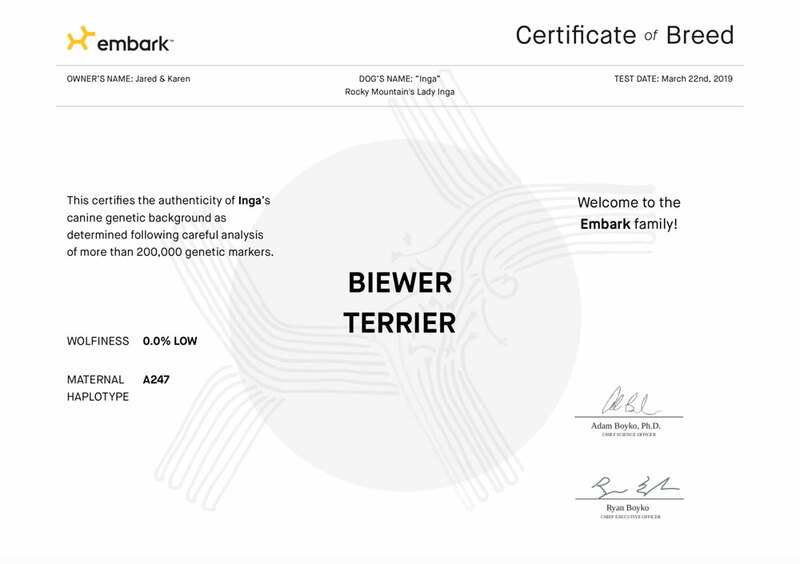 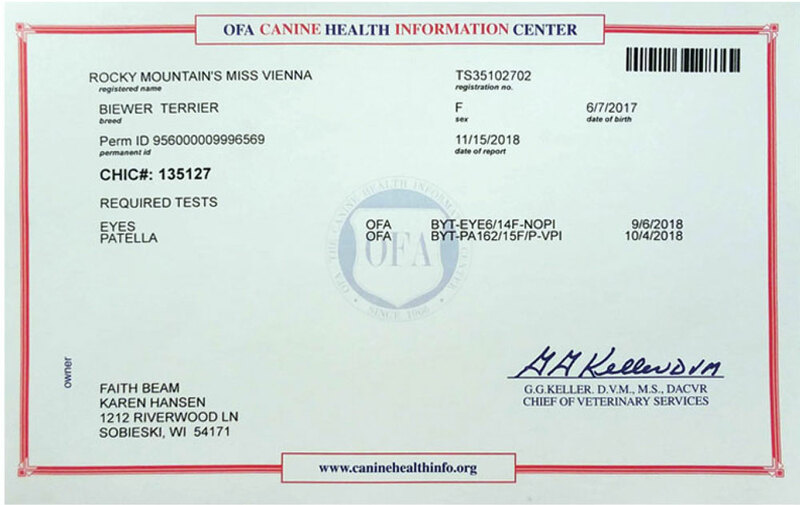 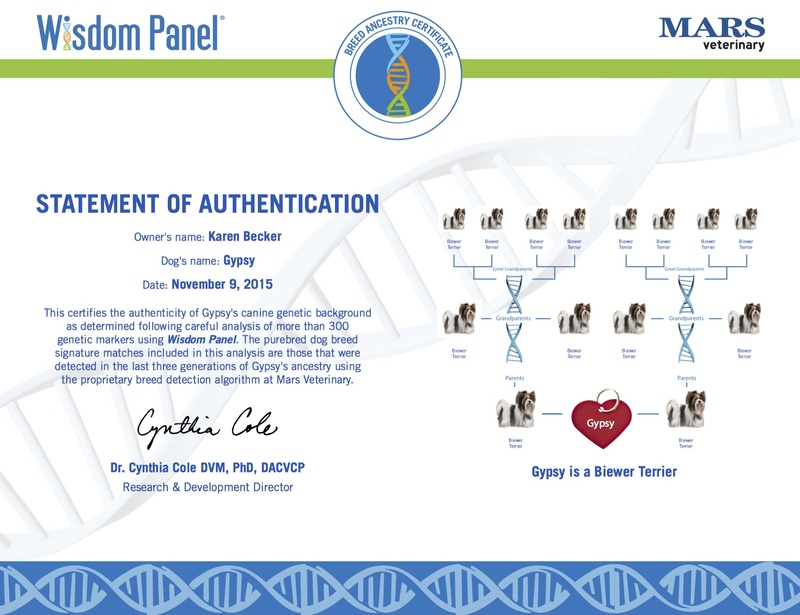 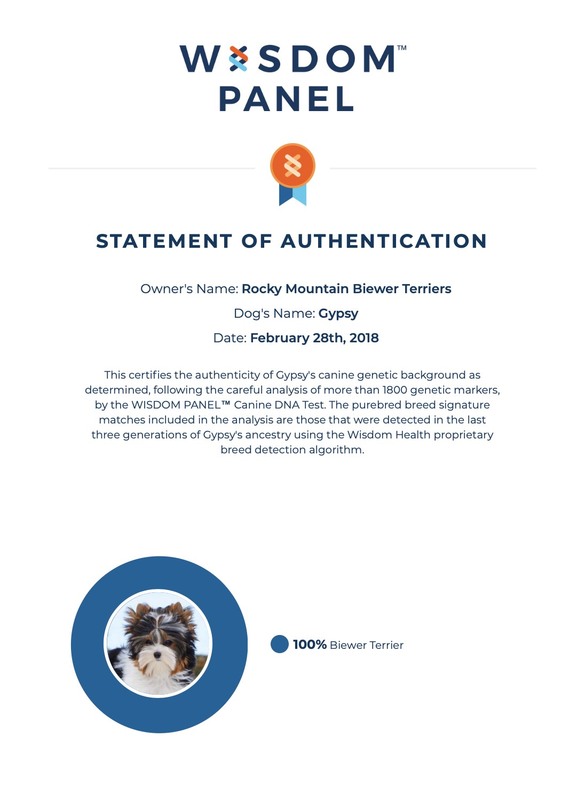 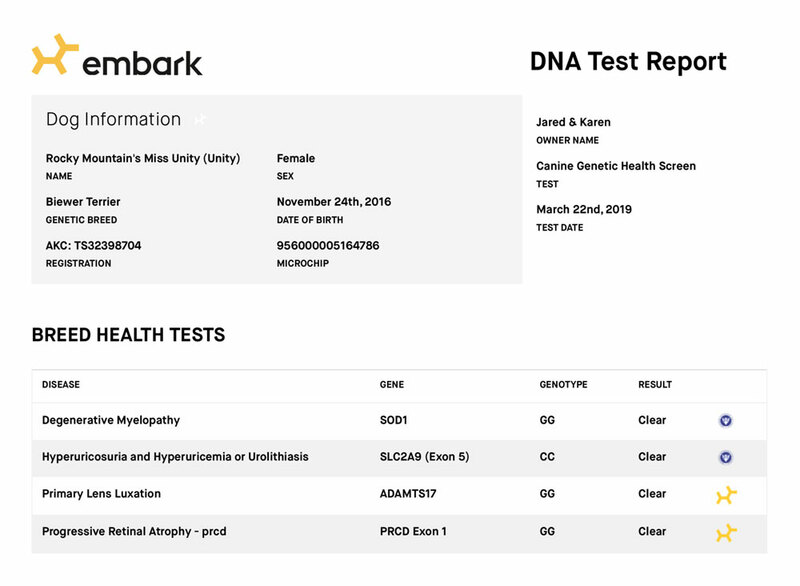 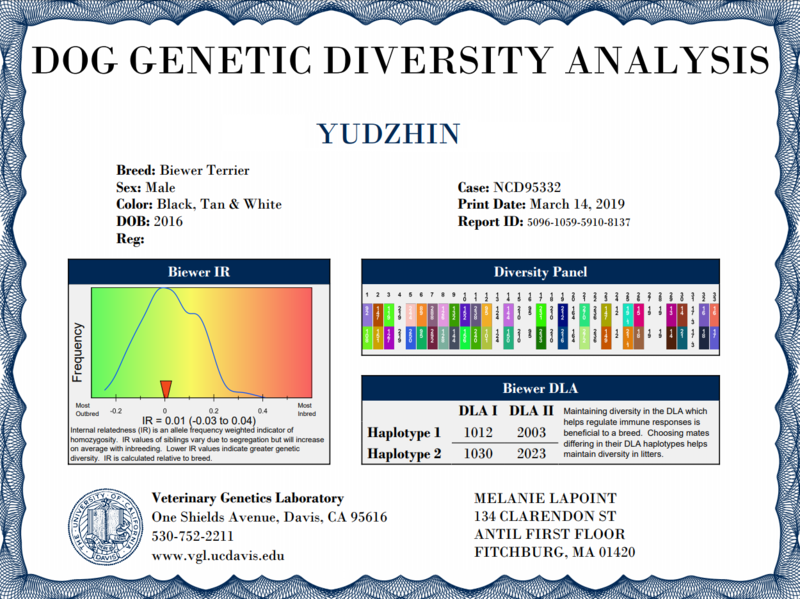 Embark tests for genetic risk factors relevant to the Biewer Terrier and will screen for over 170+ genetic mutations linked to disease in other breeds. 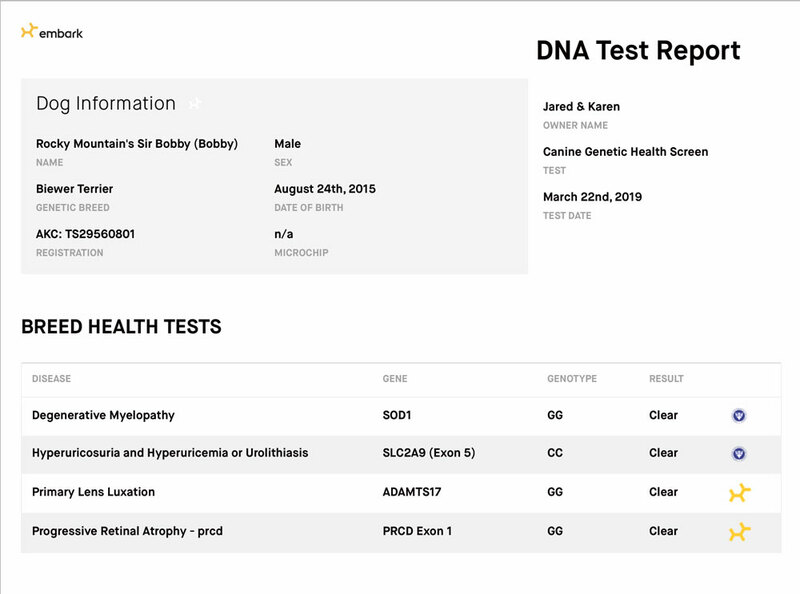 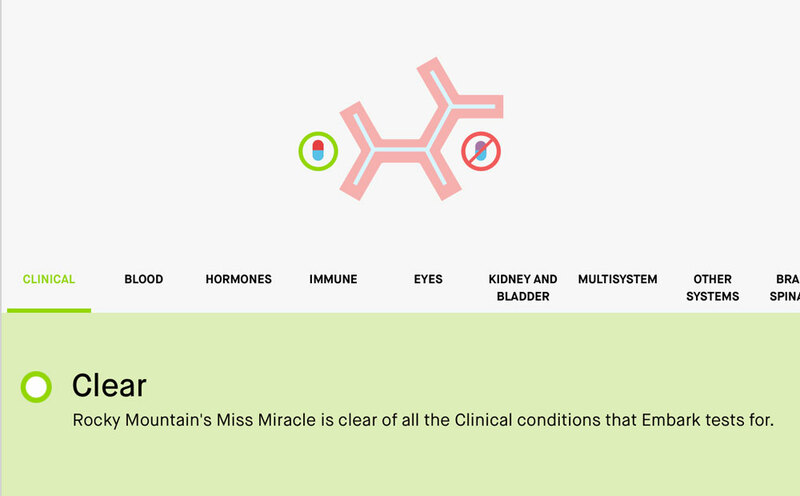 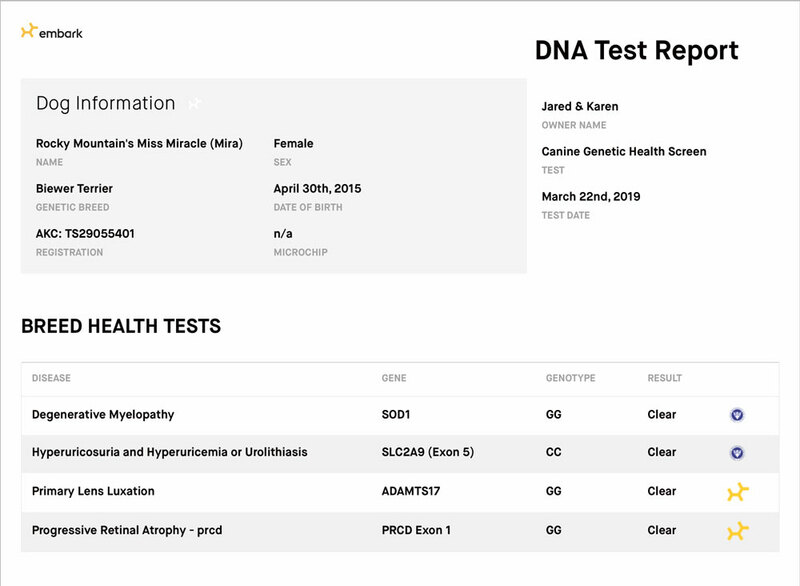 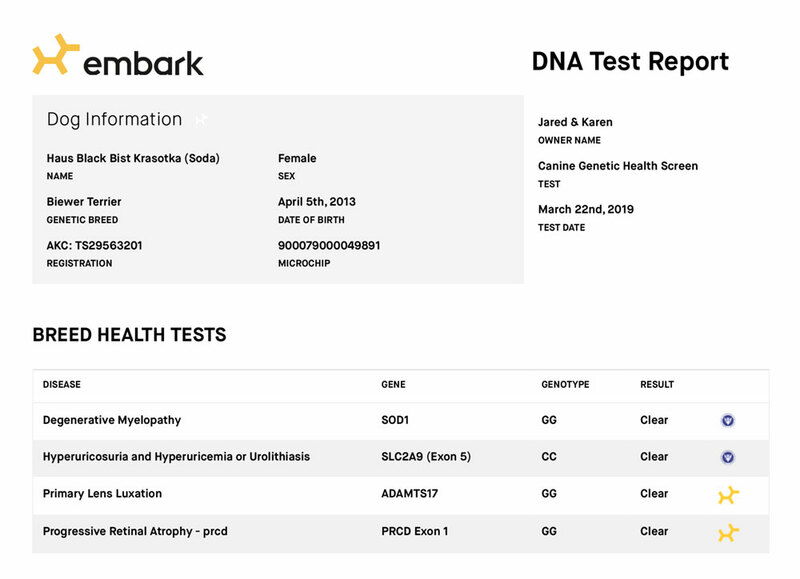 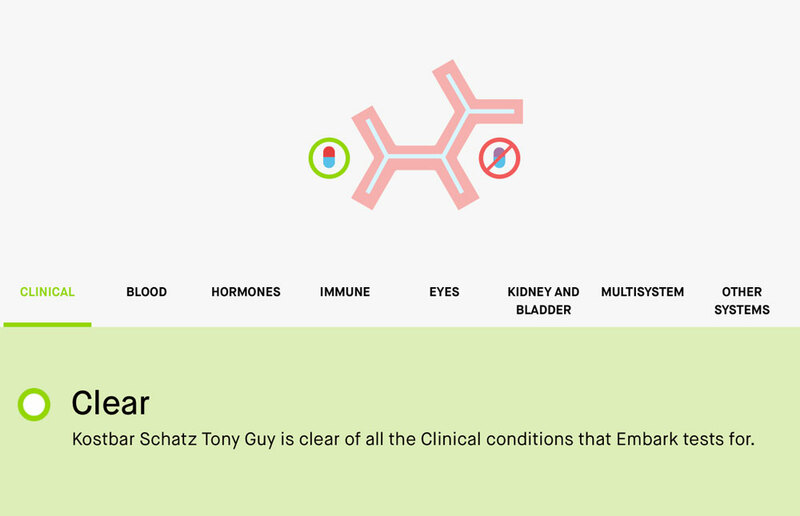 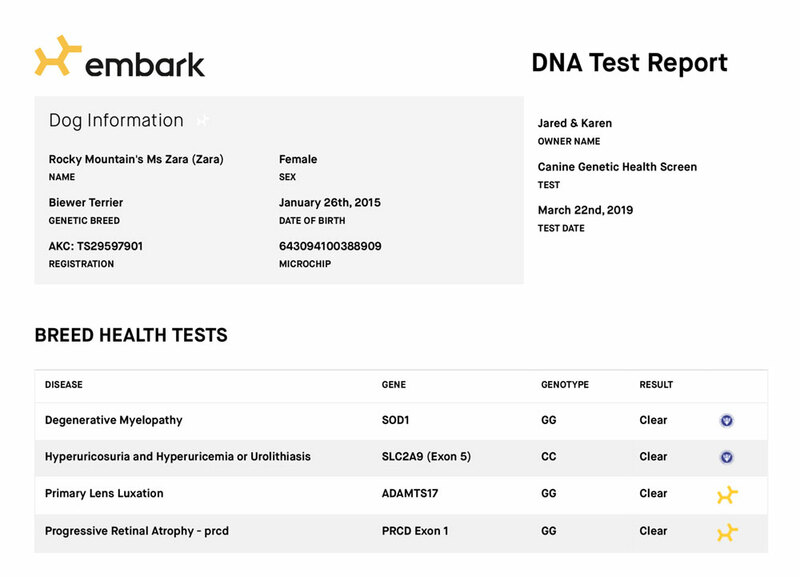 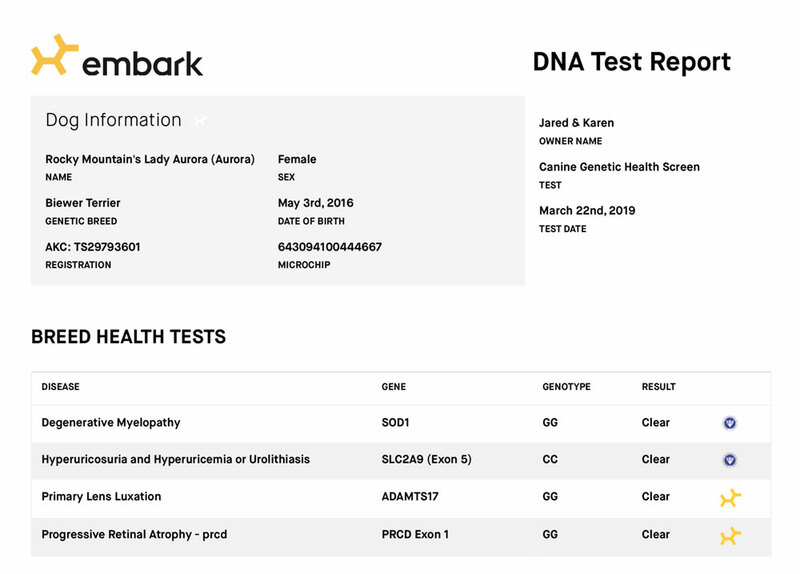 The Embark DNA Test offers results for nearly all genetic mutation tests recommended. 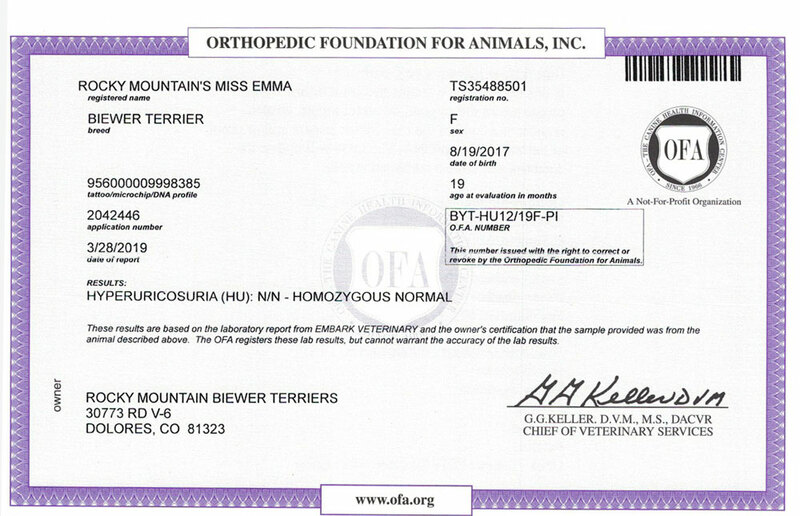 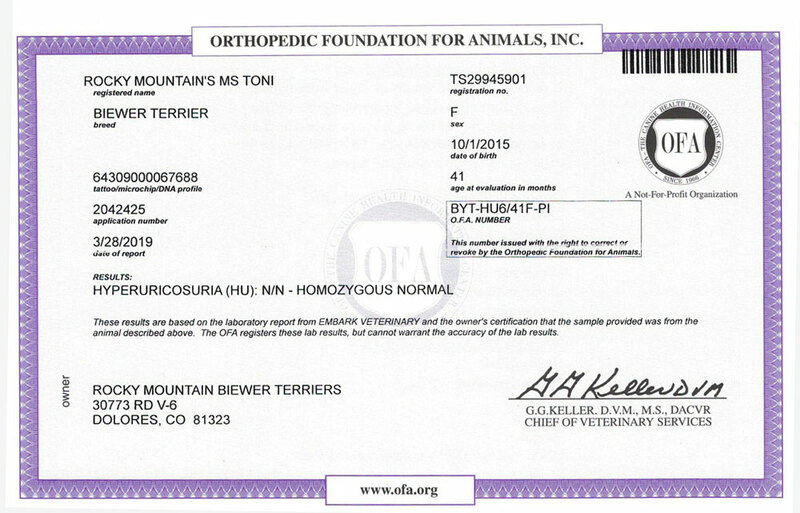 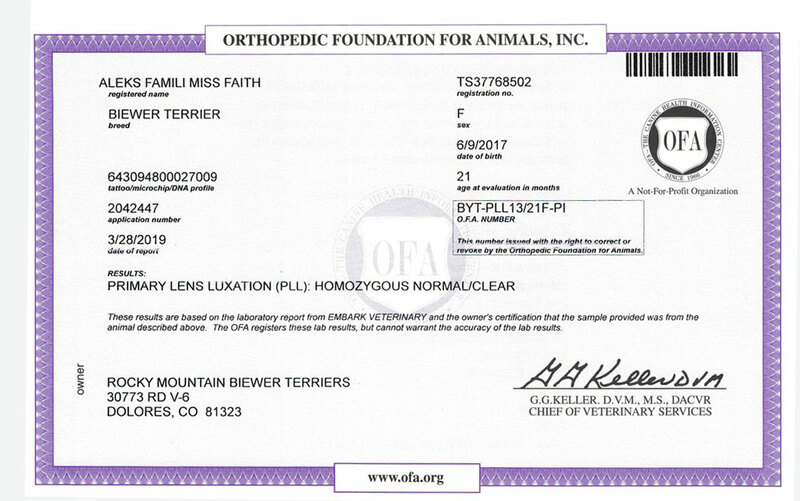 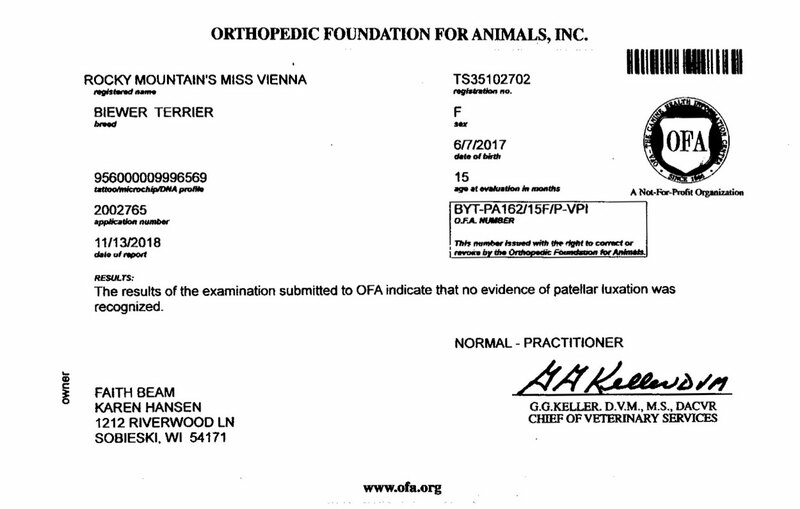 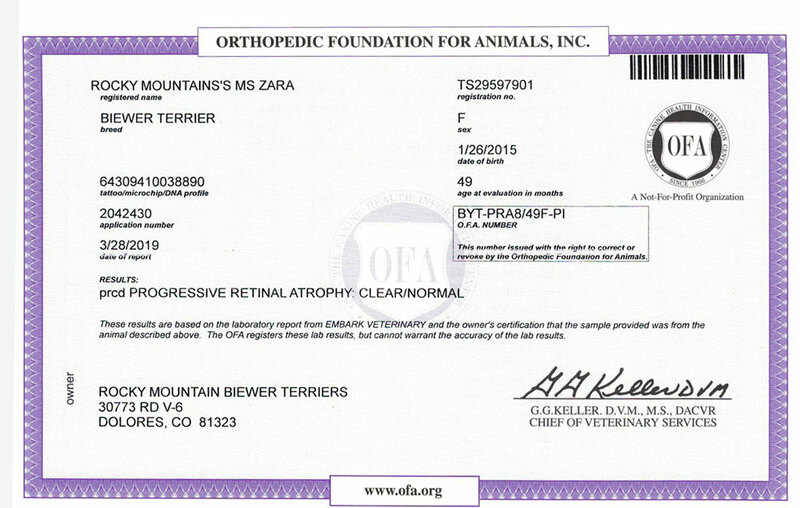 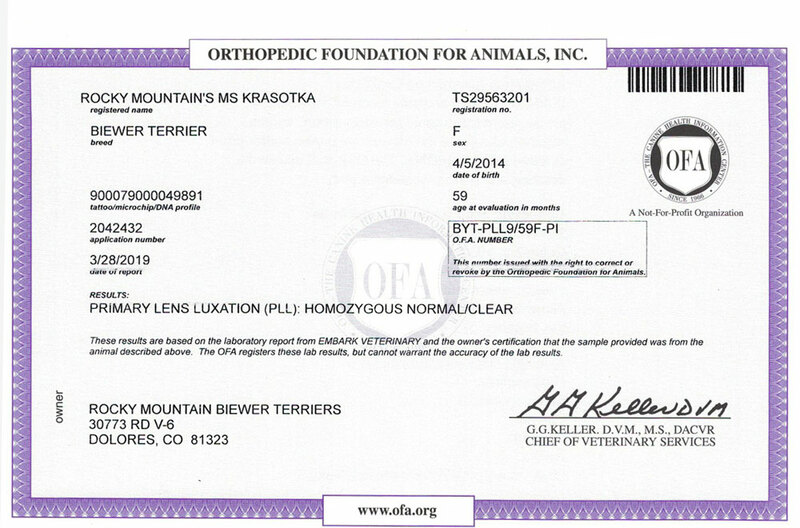 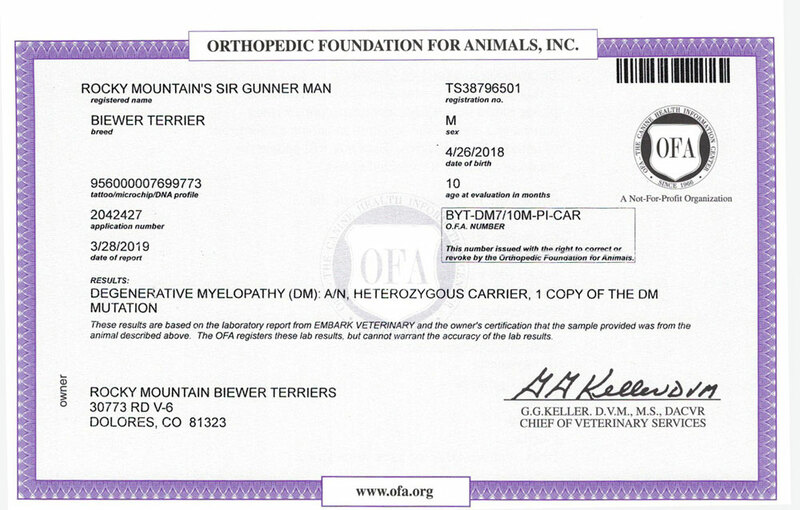 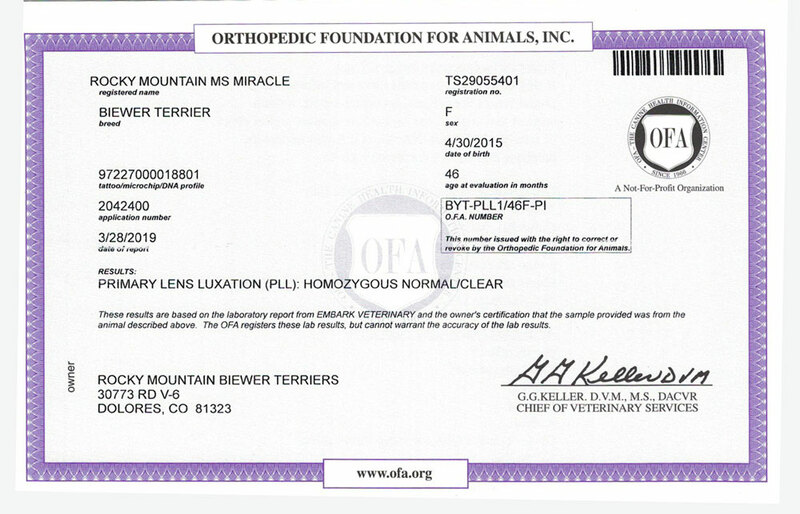 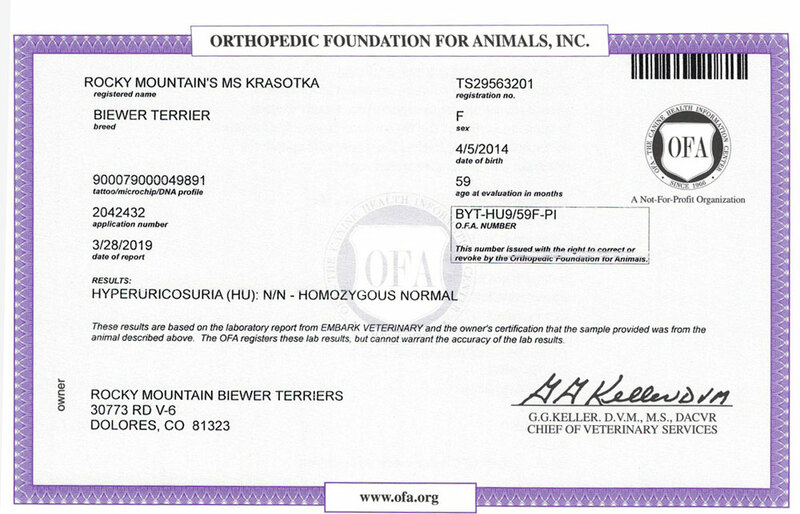 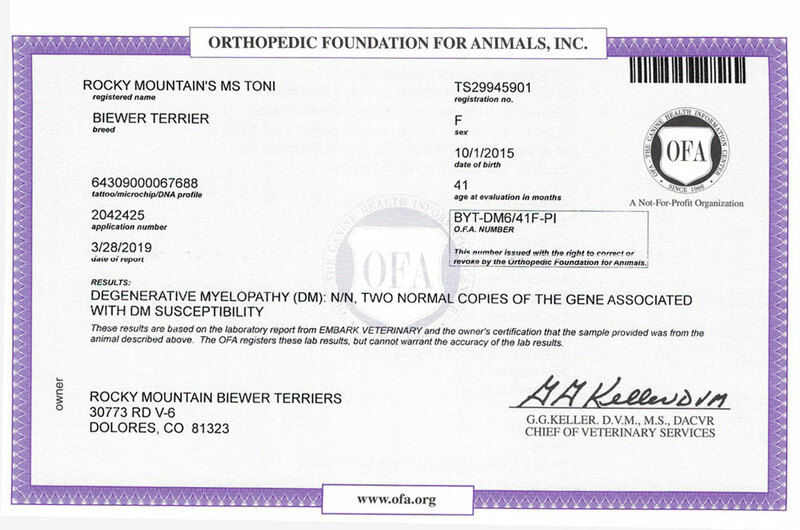 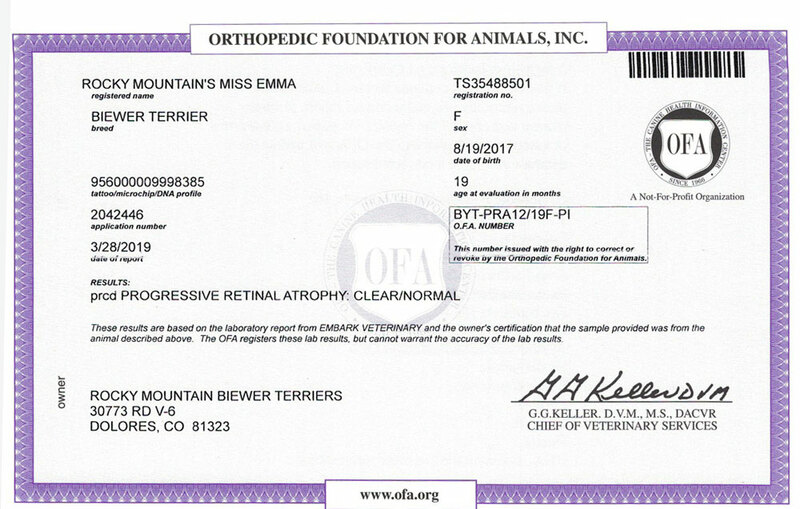 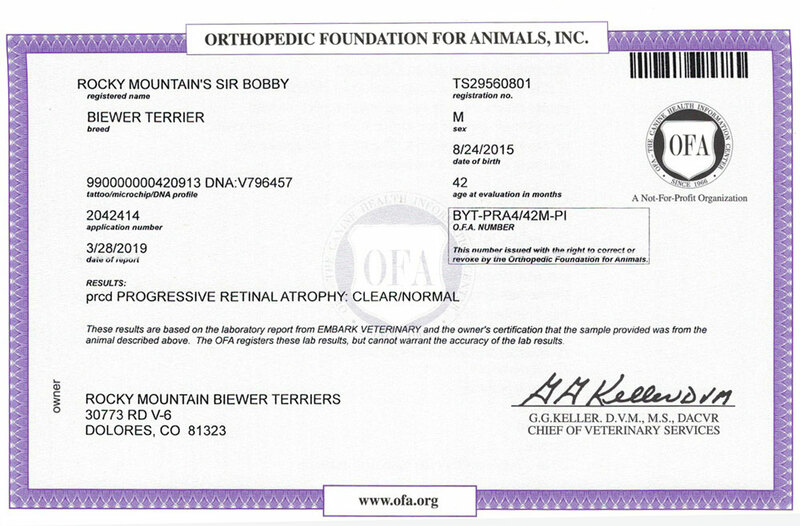 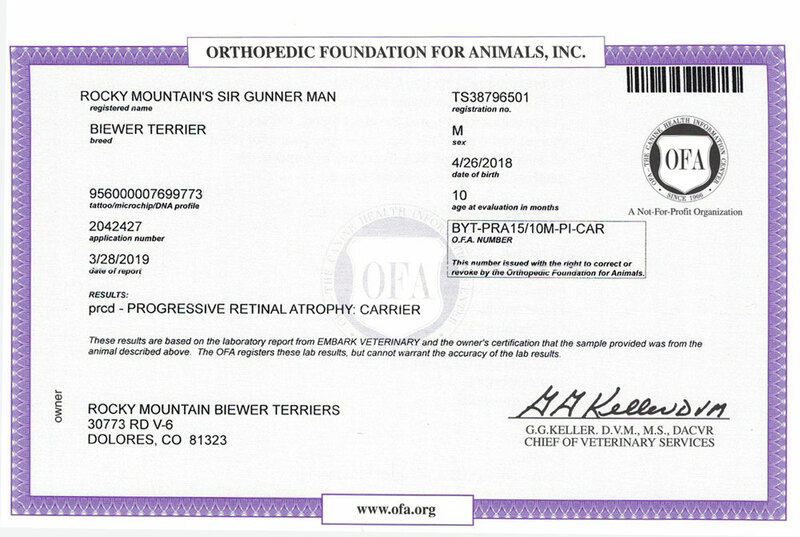 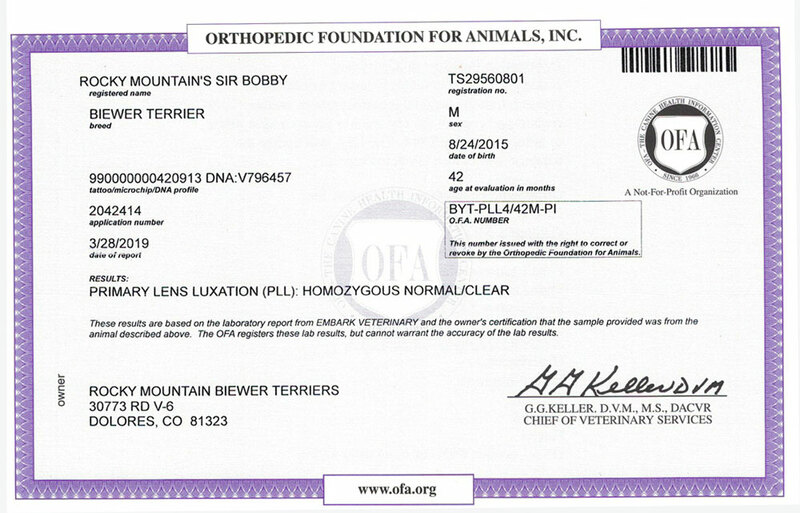 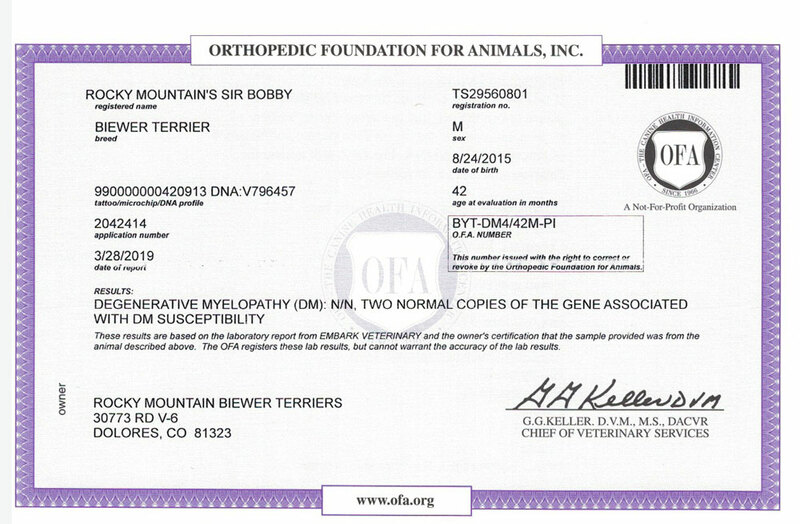 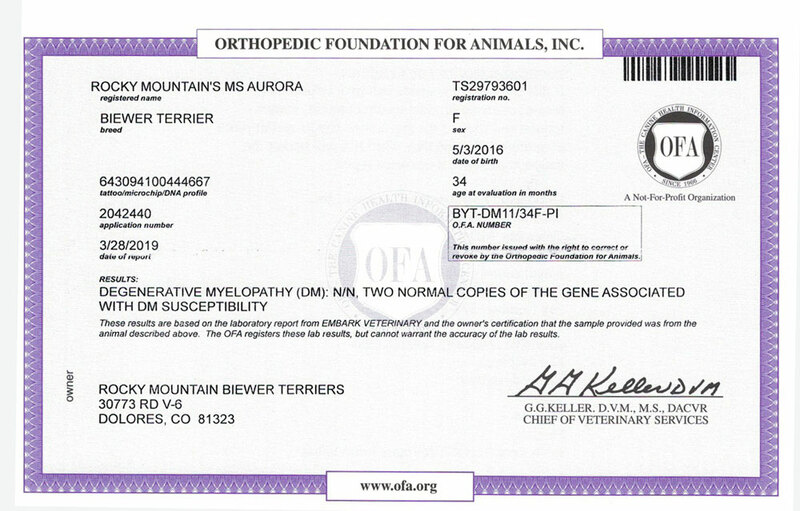 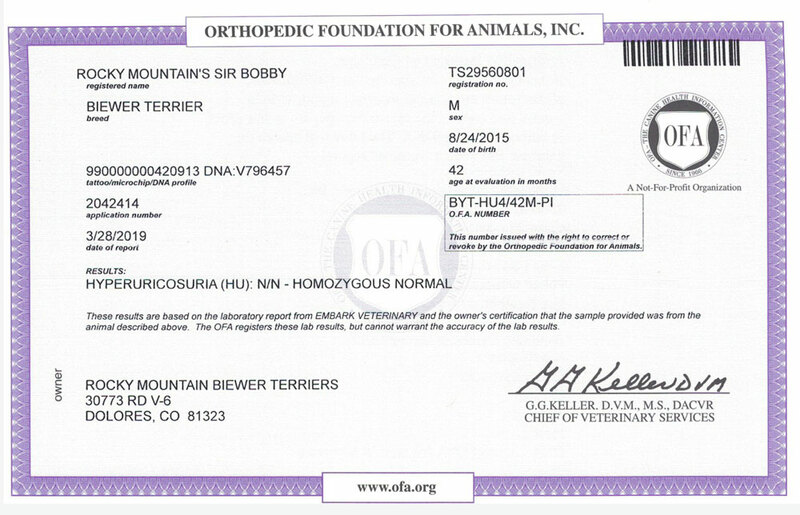 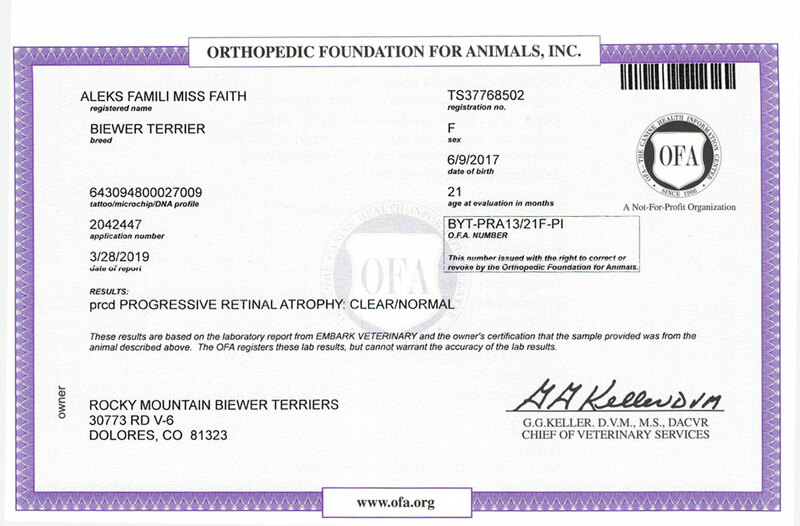 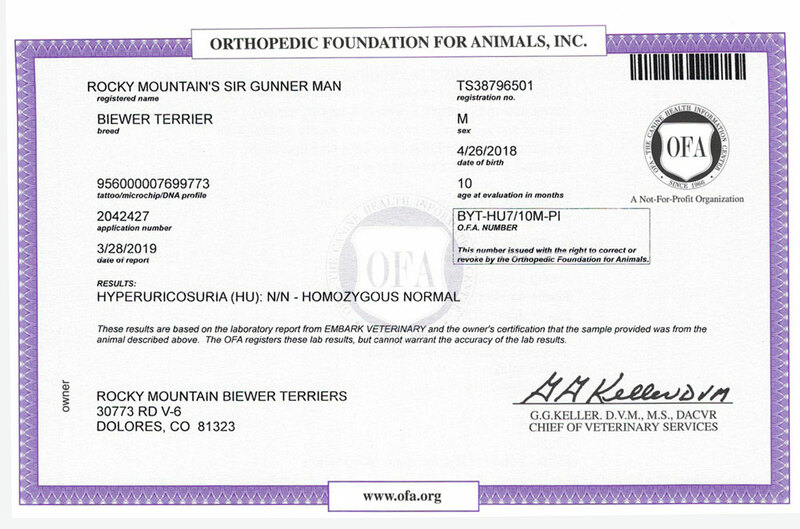 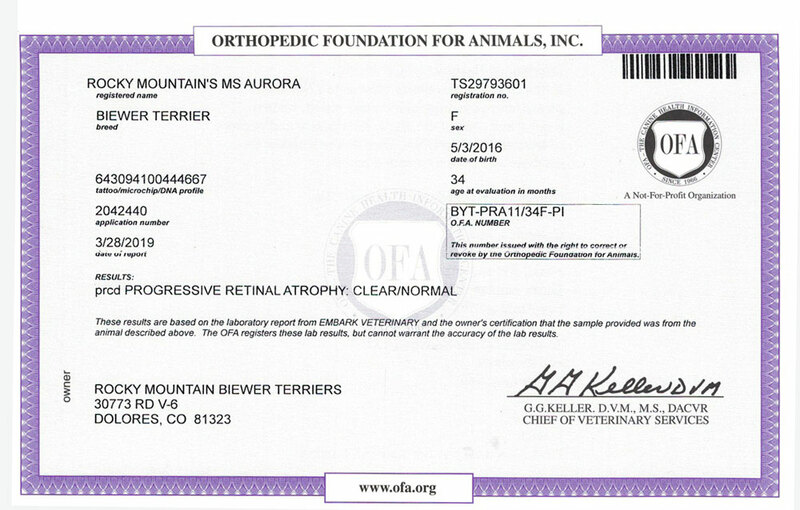 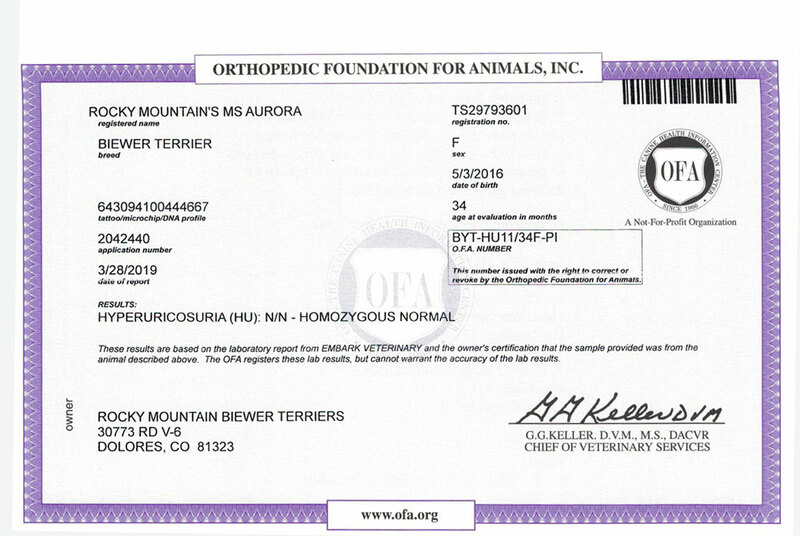 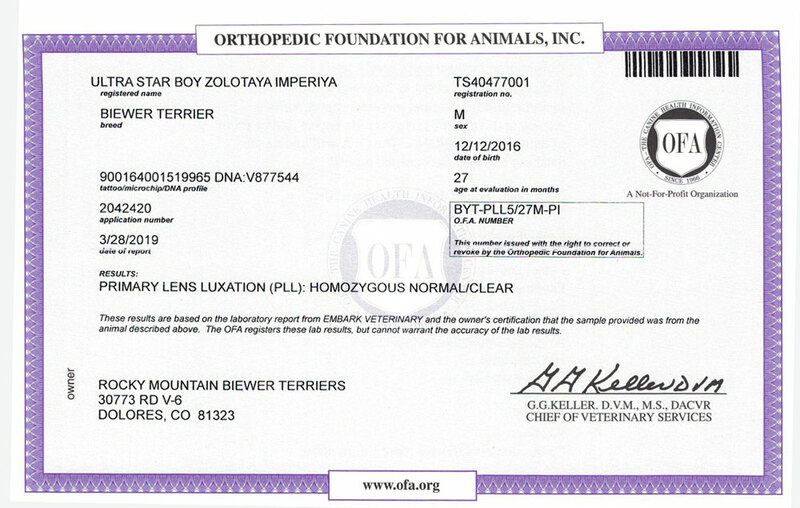 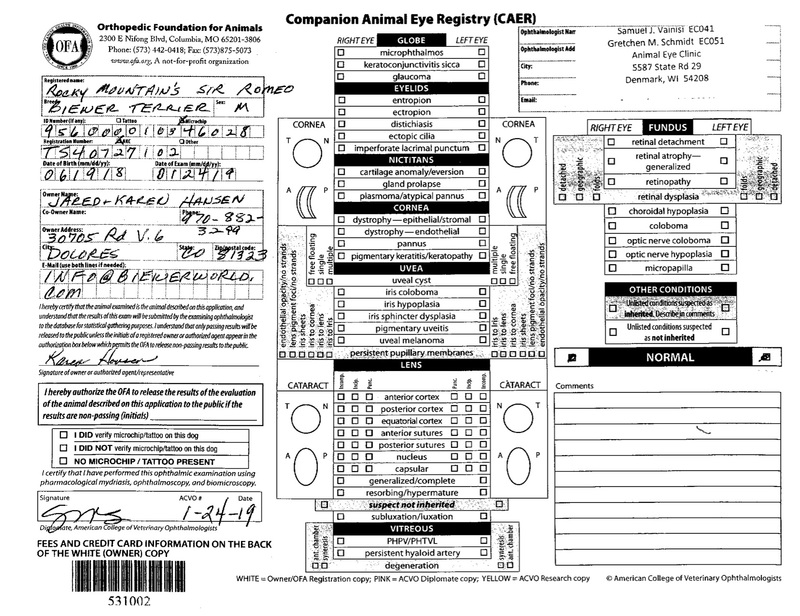 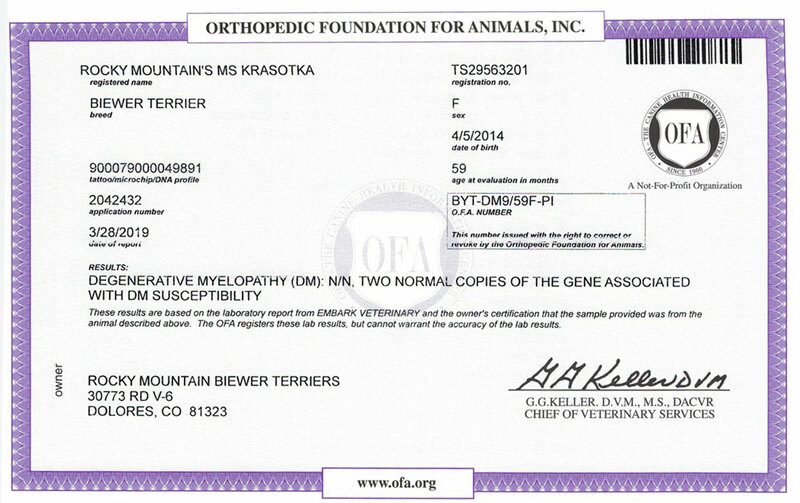 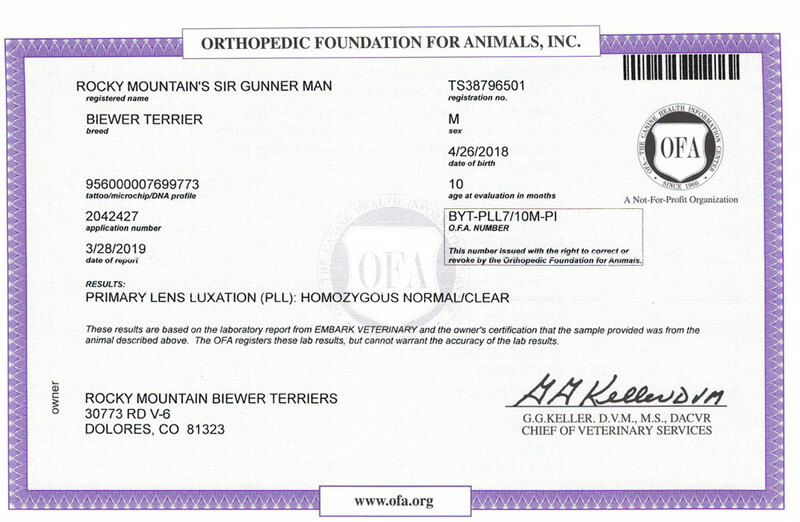 The test results are accepted by the Orthopedic Foundation for Animals (OFA) for all conditions where the OFA has an established DNA registry.